Sword Art Online 22 is now available!just around the corner. SAO episode 22 is entitled Grand Quest. Kirito was able to reach the foot of the World Tree at last, with the help of Lyfa (her sister). But Yui was able to detect Asuna’s presence. Kirito immediately flew above as fast as he can just to reach Asuna. Will he make it? Find out in Sword Art Online episode 22. Or you might want to read the spoiler below to get a sneak preview of the next episode. UPDATE: Sword Art Online Episode 22 entitled Grand Quest was recently released. WARNING: The section below contains spoiler on SAO episode 22. Sword Art Online 22 is a much watch episode for SAO fans. Kirito will start his grand quest and he will face and fight hundreds of guardian alone to reach the top of the World Tree. It is expected that we will be seeing more action from here on and who knows, the next episode may show us some of the best fighting scenes we have yet to see in Sword Art Online. I’ll updated this post once Sword Art Online 22 is released. Stay tuned! Sword Art Online 24 Review: How Insane Can this Episode Get?! 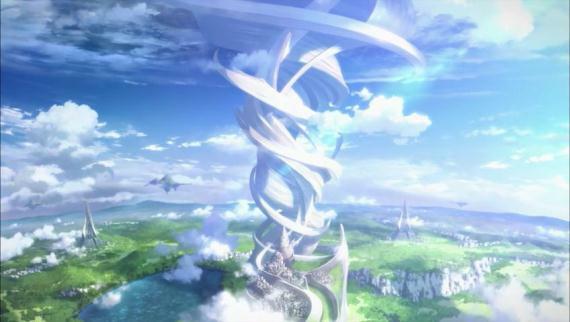 Sword Art Online 21 Review: The Truth of ALfheim – Hmm.. Shocking!